The luxed-up large SUV comes along with two new gasoline engines. 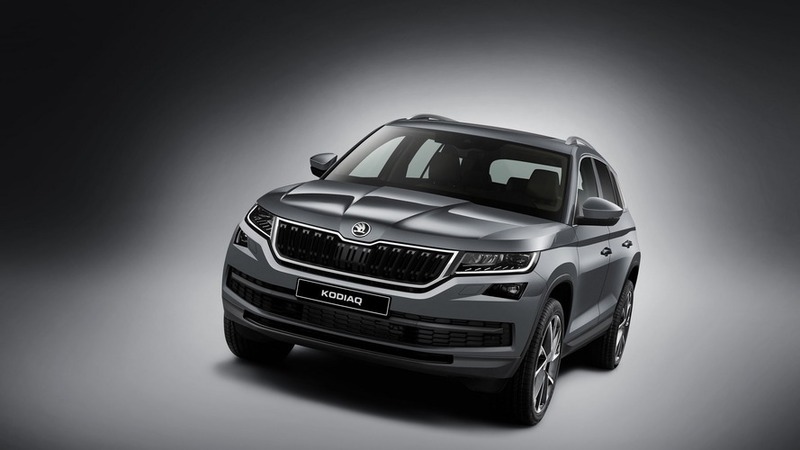 After the Superb and Octavia, it’s now the Kodiaq’s turn to receive the posh L&K treatment bringing all the luxury the manufacturer from Mladá Boleslav can offer. 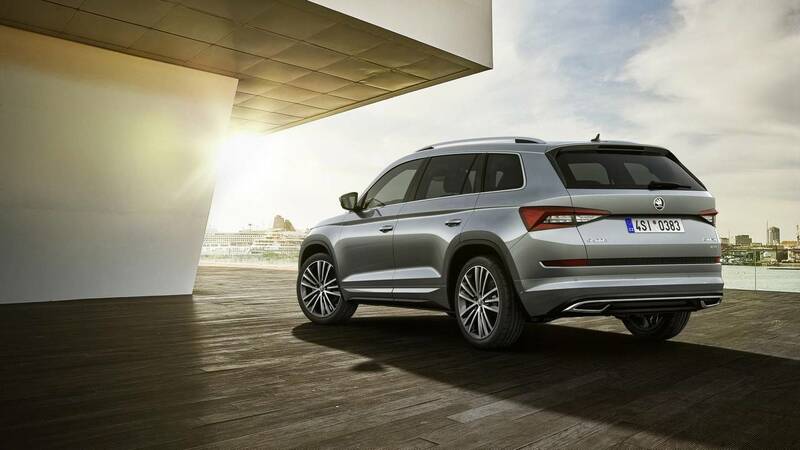 Named after the company’s founders Václav Laurin and Václav Klement, the new range topper in the Kodiaq lineup can be visually distinguished thanks to its shiny chrome grille and a mildly updated rear bumper hosting a pair of (fake) exhaust tips with metallic accents. 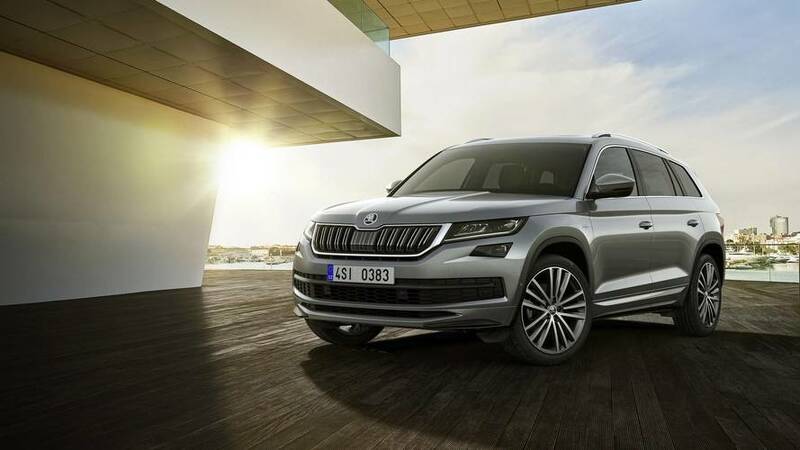 Rounding off the changes on the outside are the 19-inch alloy wheels and the “Laurin & Klement” badges on the front fenders to further denote it’s not your ordinary Kodiaq. As standard, the model will get full-LED headlights as you would come to expect from the highest trim level available. 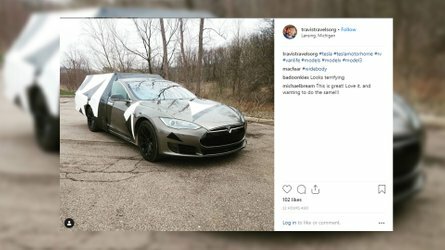 Inside the cabin, the leather-wrapped steering wheel can be had in either black or beige, and you’ll notice a bunch of “Laurin & Klement” logos on the seats, dashboard, and even on the infotainment’s home screen. The black piano lacquer accents might look nice in the adjacent official image, but these surfaces are a real fingerprint magnet in real life and extremely prone to scratches in a short amount of time. To make it worth your while, Skoda will throw in a generous array of standard equipment, including a Canton sound system, LED ambient lighting, aluminum pedals, and textile floor mats. The Kodiaq L&K also benefits from an electrically adjustable driver’s seat (with memory function), rain sensor, fancy door sills adorned with the “Kodiaq” lettering, and what seems to be an all-digital instrument cluster first seen on the Karoq and coming to the Octavia as well. Underneath the hood, the smallest engine available is the Volkswagen Group’s new 1.5-liter TSI with 150 horsepower (110 kilowatts). Step up to the 2.0 TSI and Skoda will bump its output from the previous 180 hp (132 kW) to 190 hp (140 kW). These two gasoline engines benefit from a particulate filter to cut emissions. With this being a big and heavy SUV, some will say that a diesel engine is more appropriate due to its additional torque at a low rpm range. The Kodiaq L&K will be offered with a 2.0 TDI rated at 150 hp (110 kW) and 190 hp (140 kW). Go for the top-spec gasoline or diesel engine and these come as standard with all-wheel drive, which will be optionally available on the lesser units. The all-paw Kodiaq models will have the additional advantage of being offered with adaptive chassis control, but it will cost you extra. Skoda will bring the Kodiaq L&K next month at the Geneva Motor Show where it will share the spotlight with the facelifted Fabia. Mladá Boleslav, 15 February 2018 – ŠKODA AUTO presents the new top version of the ŠKODA KODIAQ at the International Motor Show 2018 in Geneva. The L&K equipment line is named after the company's founders Laurin and Klement. Among other things, a chrome grille, 19-inch alloy wheels and modified rear bumper round off its stylish appearance. The interior boasts leather upholstery and piano-black decorative trim. Dynamic petrol and diesel engines, as well as front or 4×4 drive, ensure powerful propulsion.